Governance - LUBBOCK MEMORIAL ARBORETUM ...A LIVING TRIBUTE TO EVERYTHING THAT IS BEAUTIFUL! 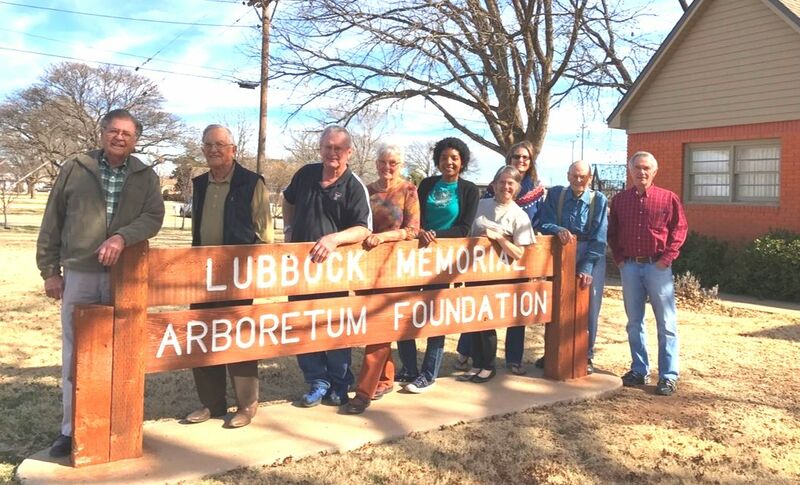 ​The Lubbock Memorial Arboretum is governed through a private/public collaboration between the Lubbock Memorial Arboretum Foundation and the City of Lubbock through its Parks and Recreation ​Department. Pictured (Left to Right): Chuck, Jim, Doug, Pat, Daria, Liz, Cornelia, Arthur, Jim.